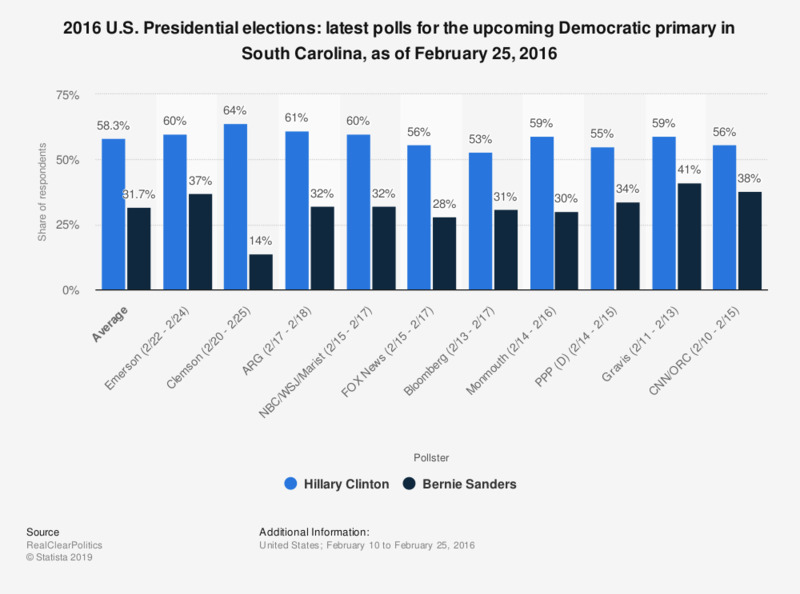 This statistic shows the latest polls on the Democratic primary that is to be held in South Carolina on February 27, 2016. As of February 25, 2016, Hillary Clinton led the polls with about 58.3 percent of voter support. Bernie Sanders had an average of 31.7 percent voter support.